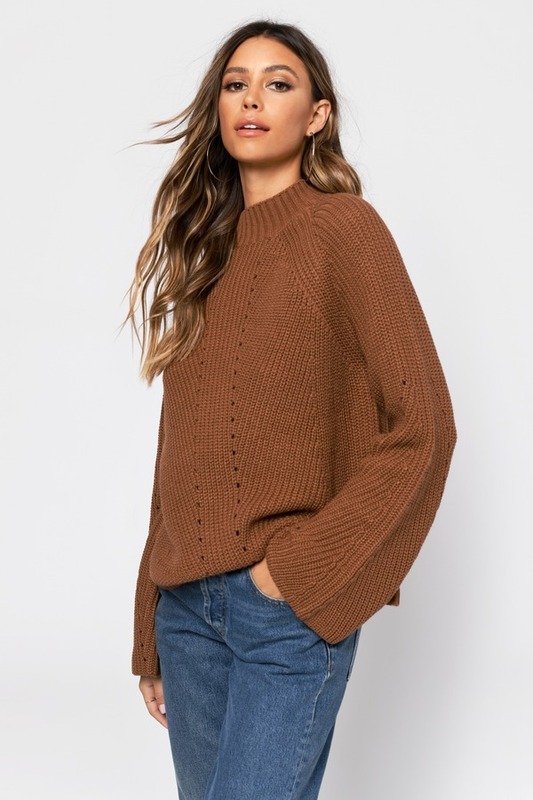 Check out Tobi's Noelle Mock Neck Sweater Winter is here, which means mock neck season has finally arrived. 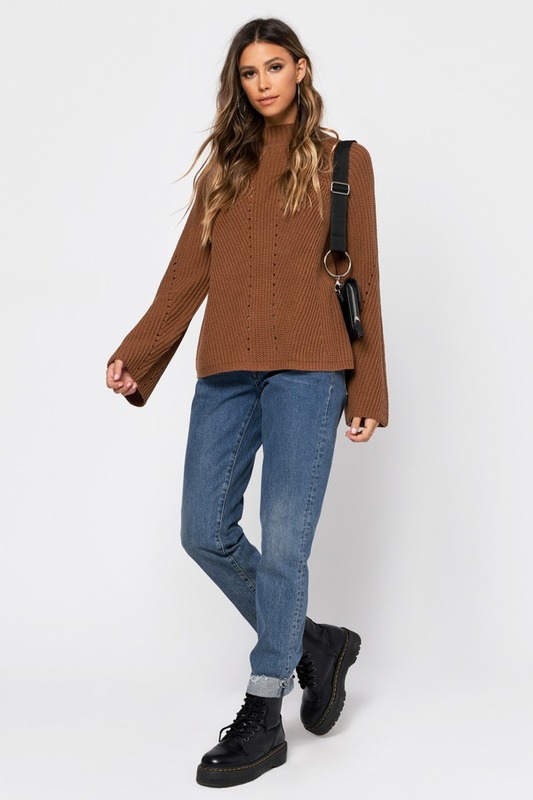 Let the Noelle Mock Neck Forest Green Sweater keep you cozy this season, featuring cozy long bell sleeves, a high neck, and a beautiful knit pattern. Wear this warm pullover with a corduroy skirt and thigh high boots to stay chic this fall. Winter is here, which means mock neck season has finally arrived. 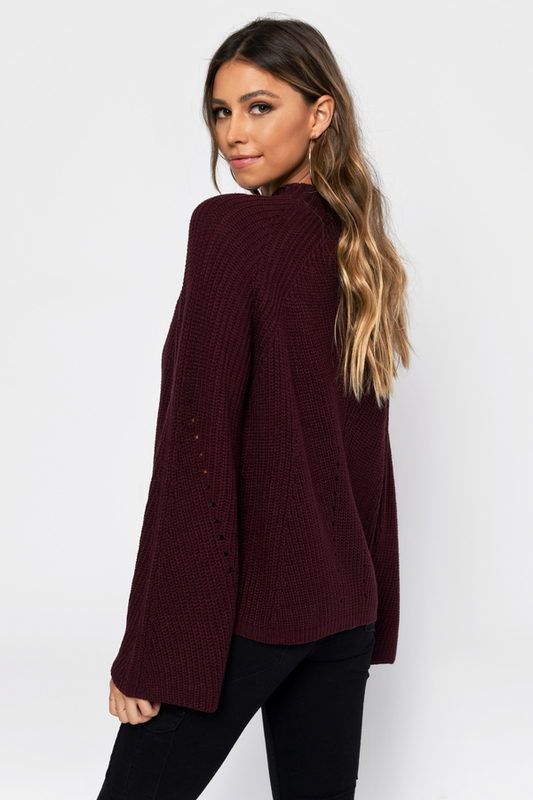 Let the Noelle Mock Neck Sienna Sweater keep you cozy this season, featuring cozy long bell sleeves, a high neck, and a beautiful knit pattern. Wear this warm pullover with a corduroy skirt and thigh high boots to stay chic this fall. Winter is here, which means mock neck season has finally arrived. 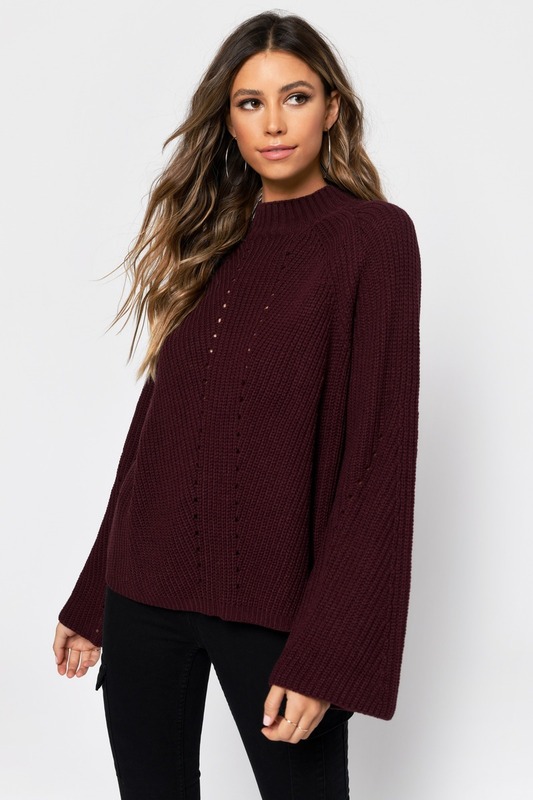 Let the Noelle Mock Neck Wine Sweater keep you cozy this season, featuring cozy long bell sleeves, a high neck, and a beautiful knit pattern. Wear this warm pullover with a corduroy skirt and thigh high boots to stay chic this fall. Winter is here, which means mock neck season has finally arrived. 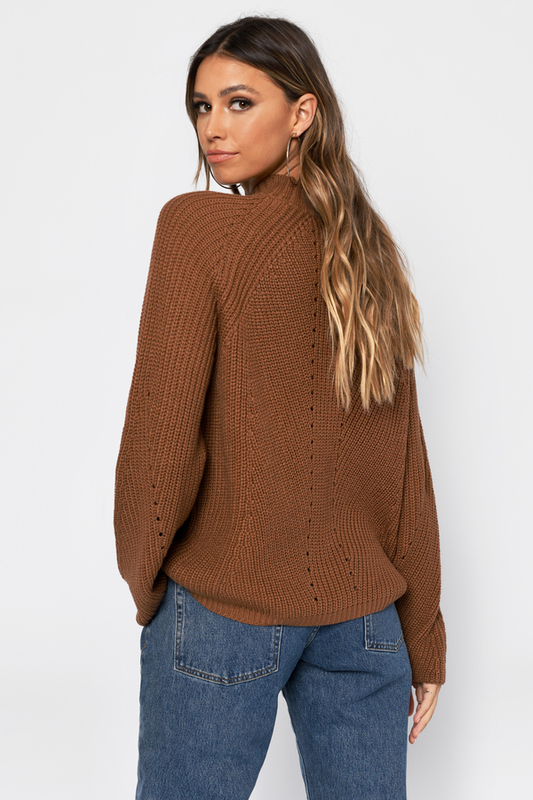 Let the Noelle Mock Neck Forest Green Sweater keep you cozy this season, featuring cozy long bell sleeves, a high neck, and a beautiful knit pattern. Wear this warm pullover with a corduroy skirt and thigh high boots to stay chic this fall. Forest Green, Wine, Sienna modeled on a size Small.